According to a recent ArgusLeader article, U.S. farmers are expected to produce slightly less corn than previously expected due to wet and cold weather conditions across most of the Corn Belt this spring. The monthly USDA Crop Production Report for June estimates corn production for this year at 14.005 million bushels, which would still be a U.S record, however, this number is less than the 14.14 billion bushels reflected in May’s report. Overall corn yields were also trimmed down to 156.5 bushels per acre from the 158 expected in the May report. Despite a frantic planting pace in mid-May, the USDA believes adverse weather conditions have delayed sowings in the western Corn Belt, raising “the likelihood that seasonally warmer temperatures and drier conditions in late July will adversely affect” the crop during important stages of growth. 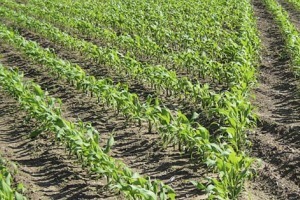 USDA analysts believe the farmers that are unable to successfully plant corn might switch some of their acreage to soybeans, which can be planted later in the year than corn. “They also expected an additional cut in corn yields by at least another bushel in the near-term, leading to a further drop in the size of the corn harvest this fall,” according to the ArgusLeader article. Farmers have been battling adverse corn planting conditions for most of the spring, and USDA estimates show corn production projections have dropped slightly. However, despite the drop in projections, the expected 14.005 bushels would still be a U.S record.